If you crave Firehouse Subs, then there is little you can do to fight the urge. Luckily, we have got you covered with our guide. Whether you want to eat at the restaurant, get takeout, or delivery to your front door, we have included all the information you will need to know about the sandwich restaurant. What Is Firehouse Subs And What Are Their Hours? Anyone who frequents a Firehouse Subs restaurant knows the distinct atmosphere of the location: fire equipment, old memorabilia, and delicious sandwiches. But sometimes we want to enjoy the sub of our choosing from the comfort of our home. Luckily, Firehouse Subs offers takeout options using their app and delivery options through services like GrubHub. In this guide, we provide all the information you will need to get a sub in your hands in no time at all. But first, let us learn a little about the Florida-based sub shop. 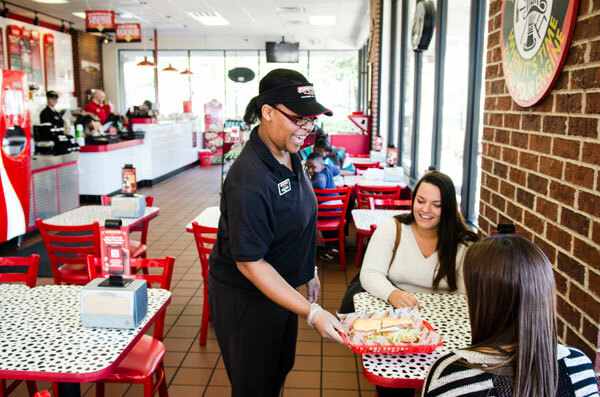 Firehouse Subs is a popular restaurant chain that offers quick, casual dining options. The restaurant was first started in Jacksonville, Florida in 1994 by a pair of brothers who were formerly fireman. The founders Robin and Chris Sorensen decided to bring the cozy setting of their old firehouse to a restaurant location. As such, the restaurants pay homage to the outfits, tools, and pictures, as well as the firefighters themselves through donations to charity organizations. The idea was a hit, thanks to the unique environment and delicious food. Their small restaurant quickly began to gain traction. Today, there are 1,135 Firehouse Subs in the United States, covering 44 states, including Puerto Rico and Canada. Today, the restaurant is continuing to expand ever outwards. Today .013 percent of your purchase goes toward charity programs that support local fireman by purchasing them much need equipment and training programs. Specifically, the money goes to the Firehouse Subs Public Safety Foundation, which the restaurant founded in the wake of Hurricane Katrina in 2005. Firehouse Subs does not deliver by itself, but it does use the service GrubHub. You can order on GrubHub, and then a delivery driver picks up the order from the restaurant and brings it to use. There is, however, a $3.00 service fee plus driver tip. Alternatively, if you do not feel like paying the extra cost for delivery, you can place your order over the phone or through the Firehouse Subs mobile app. After twenty minutes, you can go to your nearest Firehouse Sub location and pick it up. GrubHub is also reasonably easy to navigate. To access GrubHub, you can either order on their website, your phone or through their mobile app. Find the Firehouse Subs page and place your order. Once you placed your order, GrubHub will send you updates telling you when your food will arrive. The Firehouse Subs app is a new addition to the restaurant's ordering process. The free app makes ordering from the sandwich restaurant a lot easier. It is a great addition since it introduces rewards programs that give loyal members points. These points can then be used to purchase sandwiches or other Firehouse Subs menu items. If you sign up, you get a free large fountain drink with your next order. The game available of the Firehouse Subs app is the favorite game, Blaze Hopper. The game is an addictive, fast-paced neon cube puzzle game. The game is supposed to encourage you to use the app more. How do I sign up for the Firehouse Subs reward program? You can sign up for the program either by logging on to the app for the first or by signing up on the internet via your phone, laptop or computer. How do I redeem points after I earn them? 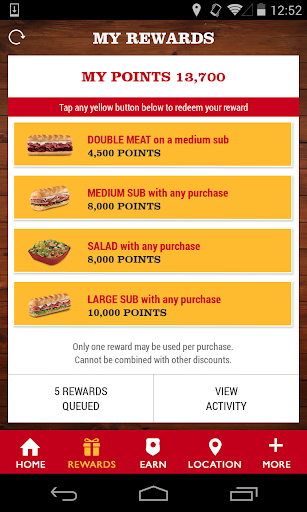 Tap the redeem rewards button on the computer or your Firehouse Sub app. Enter your order and then follow the instructions. They supply you with the law when you give them your phone numbers. You give your phone number so Firehouse Subs can identify you at the checkout. The phone number works instead of a rewards program card. At all Firehouse Club location in the United States. Puerto Rico and Canada do not participate in the rewards program. How can I learn about exclusive offers? There is a Firehouse Subs newsletter that offers information and coupons for menu items. Where can I buy a Firehouse gift card? If you want to purchase a gift card, then you can go to most stores or find them online. You can check the balance of your card at any time online. Does Firehouse Subs have anything on the menu that is gluten-free? There are lots of gluten-free options at Firehouse Subs. All of the deli meats —not including meatballs —, all of the cheese and all of the salad options are gluten-free. Is the Firehouse hot sauce available at stores? No, but the hot sauce can be purchased online. Do Firehouse Subs offer catering? Yes, in addition to a standard and deluxe platter that feeds ten individuals, there are also salad platters, cookie platters, brownie platters, desserts platters, mixed platters, and personal lunch boxes. These platters are great for parties, school functions, sporting events and other public activities with a lot of hungry people. 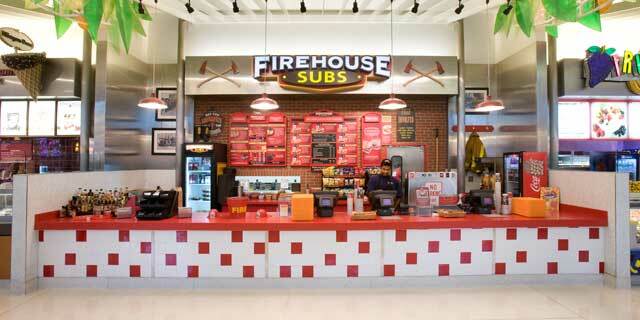 We hope our guide has been helpful in helping you learn more about Firehouse Subs and its mobile app. Make sure to remember your points and do not forget about your free birthday sub! Hey Buddy!, I found this information for you: "Firehouse Subs Delivery Guide: Areas, Hours, And Fees". 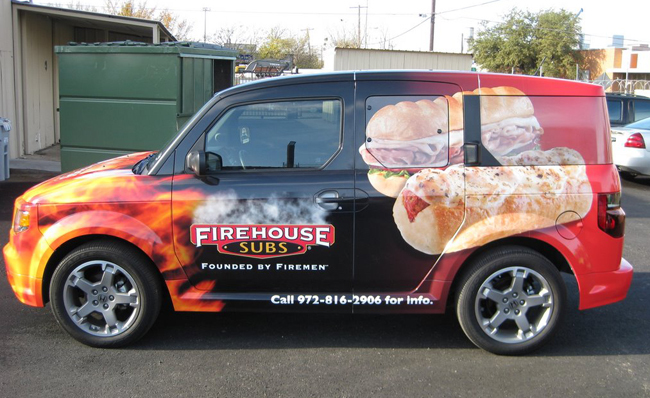 Here is the website link: https://all2door.com/firehouse-subs-delivery-guide/. Thank you.